**Energy brings Food to Life: enjoy the next BABS Bakery cookie you meet! 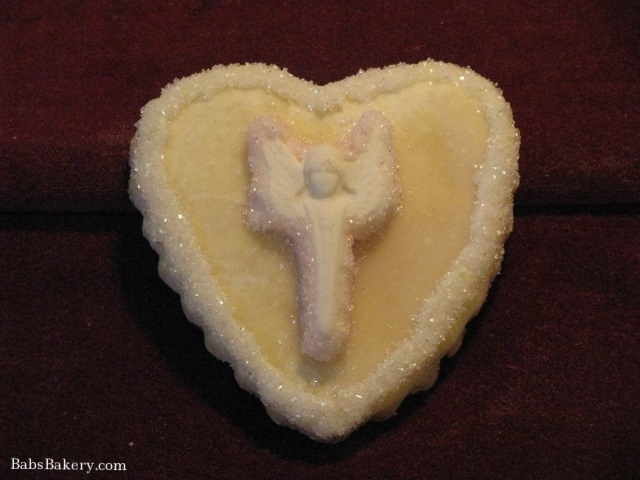 SEND AN ANGEL COOKIE © 2008 kas, ©2013 kas.has the potential for a subconscious healing effect in that it is edible or will eventually deteriorate, unlike most gifts we receive. The correlation with them is on a deeper level relating to the effect of them being mortal like humans and one day will deteriorate, yet they can possess the qualities of pleasing someone in a loving gift. Whether a joyous celebration or a time of comfort is needed these cookies can help share your moments with others, especially if you cannot be there. As grief passes, just as this cookie does, a time of renewal inside may help relieve the recipient and could possibly help leave them with a sense of peace in assisting to promote a positive attitude. This is not like a cake or other cookies that are consumed right away, but this visual piece of a sculpted-art-cookie that has the potential for sharing a mental and emotional level to celebrate a time of love, to help heal with good intentions, or assisting in balancing thoughts from turmoil. I wouldn’t say it is a digestive physical healing as it is fondant, yet possibly creating a healing through the new perception of the image viewed, as with all artwork. “An angel was assigned to you before you were born. As a result this angel will be with you to celebrate. “Angels watch over you in this time of comfort. Understanding is a part of human nature, while Knowing is a Divine gift. More angel topics : Angels are …always with You, Anniversary Angel, Baptism Angel, Birthday Angel, Christmas Angel, Comfort Angel, Congratulation Angel, Easter Angel, Father’s Angel, First Holy Communion Angel, Graduation Angel, Mother’s Angel, My Sister Angel, My Brother Angel, My Uncle Angel, My Aunt Angel, My Cousin Angel, My Grandmother Angel, My Grandfather Angel, New Baby Angel, Recovery Angel, Thank you …Angel, and Wedding Angel. Occasion: Holidays, Grief or Time of Comfort, for the Archangel Month in September, any event,,, or send one as a reminder that an angel is always with you! Angel Note: Comes with each cookie and a corresponding verse on angel stationary. Recipient’s first name only is printed and the sender’s first name only is printed. Specify names & correct spelling when ordering. Optional: You may add the Emerging Wings Unaware necklace to be packaged with the Angel Cookie order. Emerging Wings Unaware is your Angel Company. Prices: These cookies have a price range of $8.00 and up, depending on detailed work and color. The white, shown above, are usually $8.00 to $18.00. Keepsakes: A polymer clay keepsake is available to correspond with each cookie. Karan & the various international artists she works with can custom-sculpt a variety of art pieces for almost any event. Creating a mold for the art piece is also available, even if it is only dinner for two. Karan’s original sculpted art pieces have been created for world famous physicians, attorneys, Las Vegas owners, and many celebrities including Richard Simmons. She was personally invited to participate in Christmas 1999 at the White House from Hillary Clinton. Her works have graced the White House since 1992, including each inauguration up to 2008. NOTE: Some finished designs are copyrighted by the certain artists and may not be re-produced. Penalty by law and violators will be prosecuted. Rights to use these designs have been granted to BABS Bakery. Otherwise BABS Bakery creates our own sculpts & molds. Soma- Moon, representing Kapha (Earth/Water elements). The cool, lunar activity projects a variety of balance in announcing the ocean tides to waxing & waning in nourishing the vast plant life. Surya- Sun, representing Pitta (Fire element). Literally the ‘spark-of-life’ radiates eternal growth in corresponding to the call of the moon and stars. Anila- Cosmic Prana, representing Vayu or Vata (Air/Ether elements= the atmosphere). The ‘unseen’ amount of breath creates the cosmic life sparkling to allow the direction of night, because no journey ends due to an amount of darkness, hence darkness is unable to consume light. The Universe- Universal order is represented within this cookie by the harmony of the sun encompassing the moon and stars. Imagination is the wonderful aspect to take you beyond what is ‘seen’ in this cookie to what it actually holds within the galaxies of the cosmos. A faieries secret life remains so, until a desire to meet mankind. Before this faierie could disappear a likeness was created to share her challenging manners of expression from another energy kingdom.Molds are then created to help reveal the endearing attitude the faierie gently expresses when you meet them.